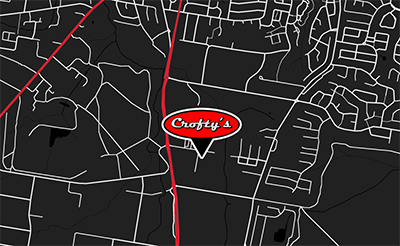 Crofty's Auto and Tyres Nowra is your local independent tyre retailer and mechanical service workshop located in Nowra. Stocking Maxxis, Lassa, Highfly and many more brands. Our stock ranges from cheaper budget tyres, to high-end wheels, so we have something to fit most makes and models. Previously the store was operating as a franchise of a major tyre manufacturer with the trading name of Nowra Discount Tyres. In April 2015 we became an independent store which enables us to supply a better range of tyres at competitive prices in the Nowra, Bomaderry and Shoalhaven area.